Make Winterizing Easy With Air Pillows! Air Pillows are an essential winterizing item for aboveground pool owners, especially those living in colder climates. This rugged heavy-duty vinyl air pillow absorbs the pressure of freezing and thawing to protect the cover and walls of your pool. When your pool water freezes, the air pillow compresses to relieve pressure on your pool walls. By elevating your winter pool cover, Air Pillows help keep it free of leaves, debris, rainwater and snow build-up. Without the pool pillow, ice will expand outward putting pressure on your pool causing potential damage to your cover, liner, and pool walls. 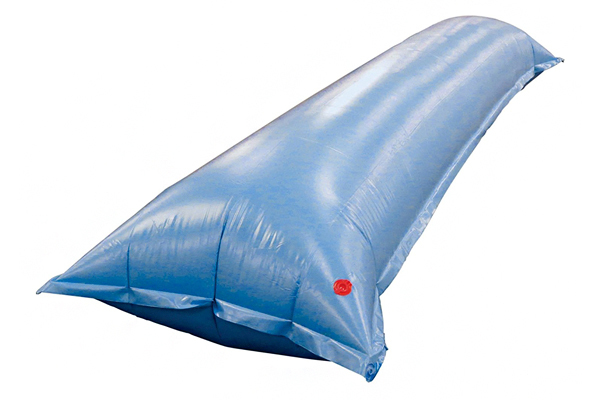 Inflate the air pillow only 60% to 80% of its capacity to allow for compression! What Size Air Pillow Will I Need?